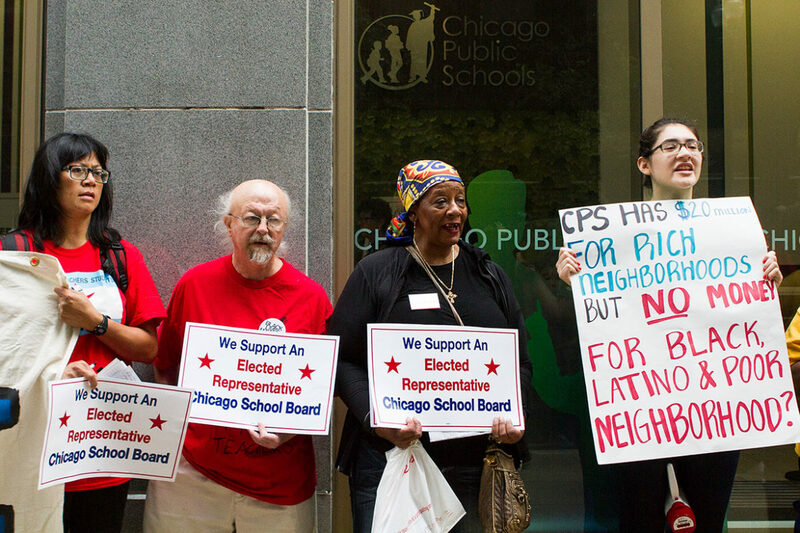 Teachers, students, and advocates rally in support of an elected school board outside Chicago Public School headquarters on June 22, 2016, a day set aside for professional development that was cancelled by the district. That’s been a longstanding demand of teachers and school activists, which is understandable, given the series of school closings, deep budget cuts and corrupt contracts the mayor’s appointed school board has rubber-stamped. But it’s just a start. The city’s schools – many of them neglected and undermined for decades – face a huge range of issues. The parent group Raise Your Hand has called for an end to student-based budgeting, which shifts funding away from schools with the most challenges. The practice “contributes to an accelerated death cycle for schools with decreasing enrollment, distorts hiring practices to favor the least-experienced teachers, and forces schools to eliminate librarians, art, and music to cut costs,” according Jennie Biggs of RYH. The group also raises concerns about instruction heavily oriented toward test prep, privatization and charters, and the lack of support services, citing that Chicago Public Schools has a ratio of one social worker to 1,250 students. Biggs raises the question of how Emanuel’s last-minute proposal to expand early education will be funded; the mayor proposed using new money from state school funding reform, but that money is supposed to be used – and is badly needed – in existing K-12 classrooms. There’s also lots of work to be done to correct special education cuts that violated federal law; parents haven’t even been officially notified their children may have been denied services to which they were legally entitled, Biggs said. Brighton Park Neighborhood Council, which has worked in Southwest Side schools for years, echoed many of those issues and raised some others: police officers stationed in schools should be replaced by counselors, they say, and a ‘sanctuary school’ model should be implemented limiting immigration authorities’ access to schools, informing families if checkpoints are set up, and offering counseling and legal referrals to families threatened with deportation. There’s a wealth of talent and commitment available from people at the grassroots who have been shut out of the decision-making process for far too long. Then there are neighborhood high schools. They’ve been severely neglected as CPS has opened scores of charters and selective enrollment schools over the past two decades. According to Generation All, which advocates for neighborhood high schools, the lack of “an open and inclusive citywide planning process that considers neighborhood needs” has “led to oversupply and unnecessary competition, and also to disinvestment in neighborhood schools.” Neighborhood high schools still serve about 40 percent of the city’s students, including a majority of low-income students of color. If we’re going to begin to address the crisis of disconnected youth in Chicago, neighborhood high schools are one important starting point. BPNC has worked hard in Kelly High School, bringing millions of dollars of resources to the school even as CPS has cut millions from its budget. The group advocates for a community schools model, in which community partners help bring enrichment and support services for students and parents and community who are engaged with programming. At Kelly, that’s included a summer Freshman Connection program for 200 incoming students, and a college mentor program in which Kelly graduates work with at-risk freshmen and sophomores. 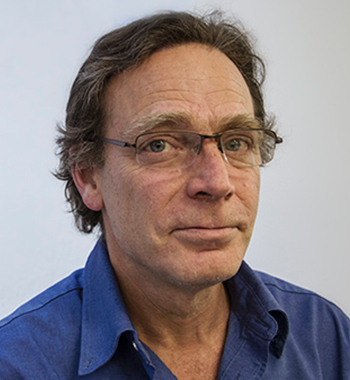 “That’s made a huge improvement in keeping kids on track,” said BPNC executive director Patrick Brosnan. The organization has brought in after-school programming and case managers for gang-involved youth, trauma-informed programming and a full-time post-secondary counselor. BPNC also sponsors a college scholarship. And there are a lot of bright young people coming out of the school. Teacher-blogger Walter Brzeski suggests the underlying motive in that case could be favoring a predominantly white school over majority Latino schools. The next mayor faces huge challenges at CPS. There’s a wealth of talent and commitment available from people at the grassroots who have been shut out of the decision-making process for far too long. And the first thing they say we need is better priorities.